Six months ago I started this website and blog. I didn’t know what to expect in the beginning only I had some altruistic sense of wanting to help people starting out after their cancer diagnosis. It was rather daunting yet exciting for me as I hadn’t a clue how to go about it. 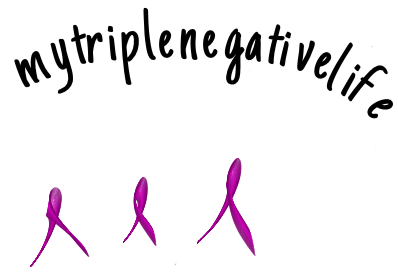 If you have read previous blogs you will know that I had a local recurrence in 2013 and how the landscape of breast cancer treatment and care has changed since my first diagnosis in 1999. So too the onset of the internet and, in more recent years, social media have become a readily available means of support for people. During 2013 I found breast cancer websites and social media helped me through those difficult months during treatment and even though I was not actively participating in the forums I did manage to get whatever advice and support I needed at the time. One aspect of the support I noticed was that many people were willing to share their treatment plans but I couldn’t find anyone like me with a recurrence and returning to normal afterwards, just living ordinary, sedate, lives, something I so badly hoped for! Quite understandable you may say as it is normal to want to forget and move on after cancer treatment. That too was my aim after my initial diagnosis, to create as much distance as possible between me and cancer and continue my life. I have always journaled my way through difficult periods in my life and found that when I see something written down I find it easier to assimilate and helps me solve any problems. I wasn’t ready to share a lot of what I had written as it was too raw and personal at the time. I decided when I felt physically and psychologically well enough again I would do something like a blog where anyone in treatment or recovering could access. What I have found out over the past few months is that I have benefitted far more than I have given! I have learned so much from strangers. I am humbled and amazed by the many strong and amazing people out there “actively living” their lives despite undergoing continuous treatment. There is a solidarity amongst the breast cancer community who support and encourage those who stumble. So many who write so eloquently and describe exactly the whisperings and scant thoughts that I strenuously labour through and try to convey in a long winded sentence! Social media and the internet is viewed somewhat guardedly by people who are unsure of it and its potential. I probably slotted midway into that category for quite awhile. I fully embraced the internet and all that it offered as a resource over the years since its inception. I was reluctant to take the next step and communicate and share. My experience has been that it helps narrow the gap between healthcare personnel and patients as it seems to be a less formal means of communication. There is easy access to information that is either evidence-based or anecdotal. Information is merely a click or two away on new available drugs, clinical trials etc. Not to mention the comfort of knowing others fully understand you and may also help if feeling isolated. I’m delighted to have found your blog in the last couple of months, Catherine. You write so thoughtfully and share such good information.